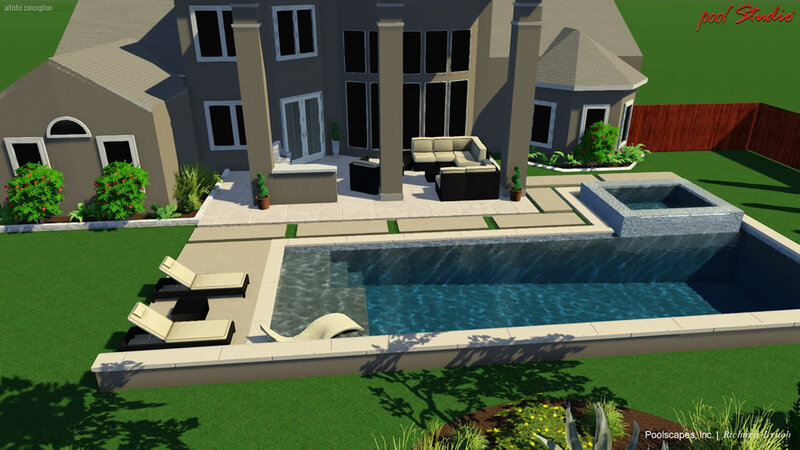 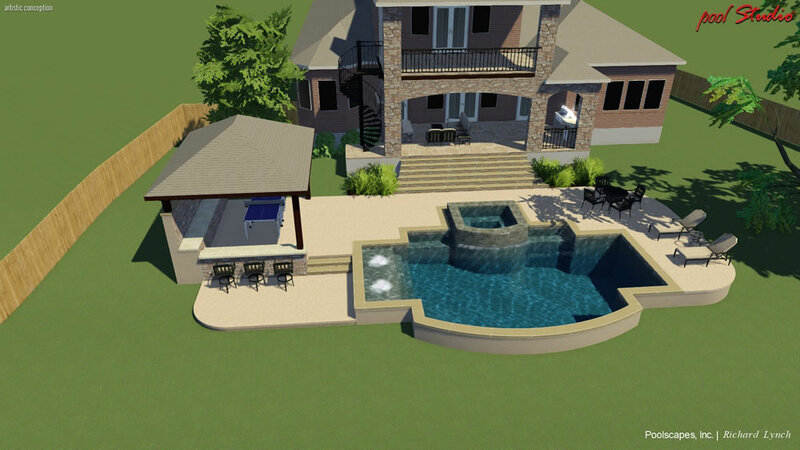 After your initial consultation, a Poolscapes, Inc. professional pool designer will create a free, fully interactive 3D presentation of your outdoor living project, and provide you with several snapshots of the 3D rendering. 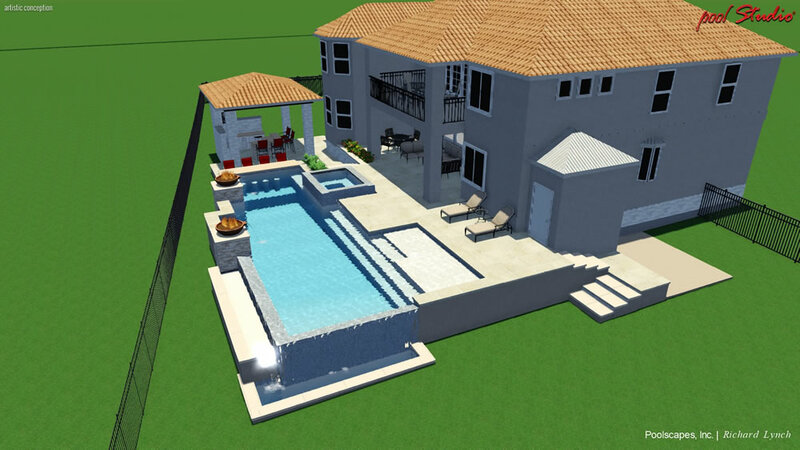 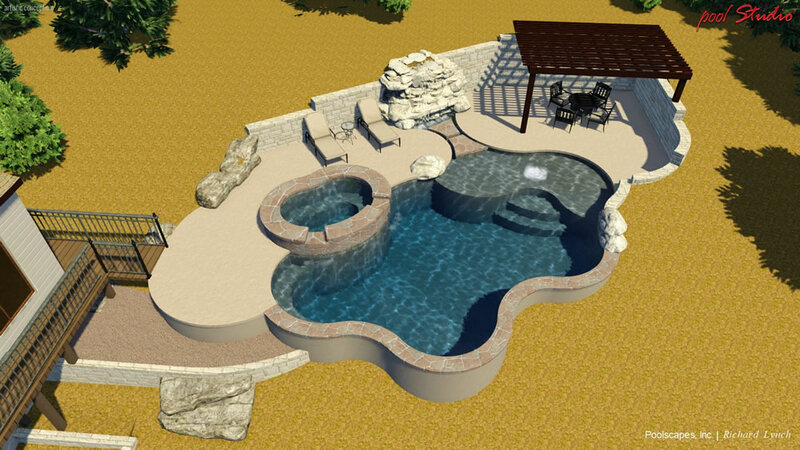 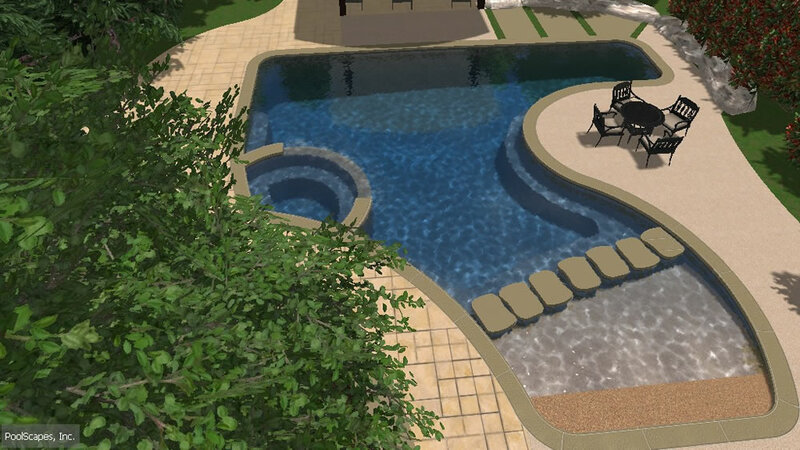 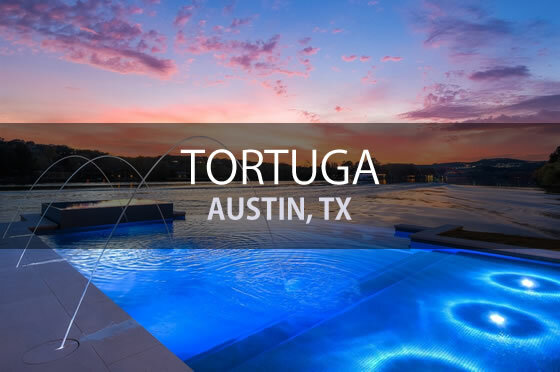 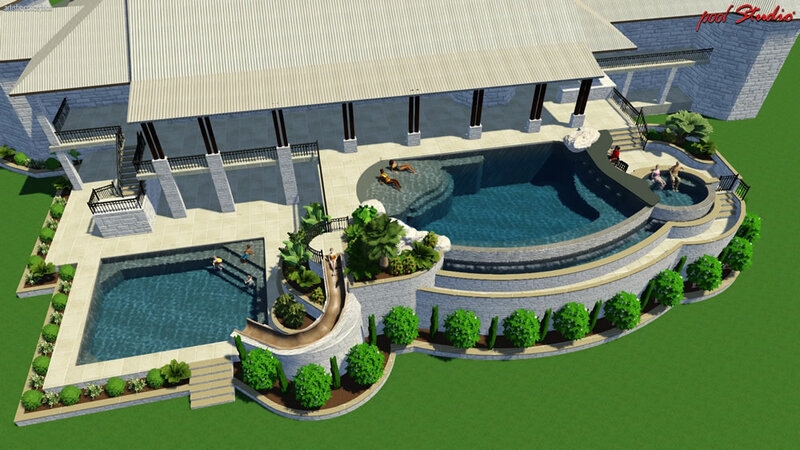 Our 3D pool design software lets you see features and upgrades in realistic 3D detail, and gives us the ability to deliver incredible results, easily customized with thousands of high-resolution, fully rendered products and materials in our 3D library. 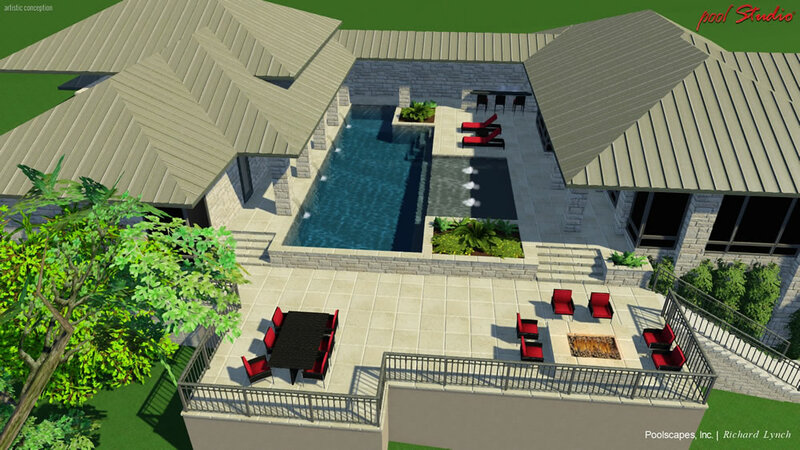 In addition to the 3 dimensional rendering, we will provide you with a detailed proposal including the scope of the project and pricing information.